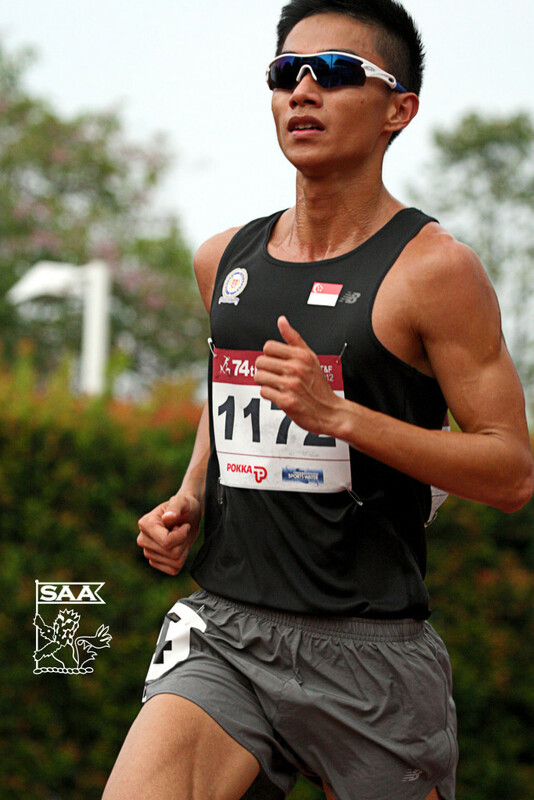 Fang Jian Yong will be representing Singapore in the Men 800 Meter Run Open, Men 1500 Meter Run Open & Men 5000 Meter Run Open at the 76th Singapore Open Track & Field Championships 2014. Here’s is his profile awareness of our selected National Athletes for the competition. Coming off the calf injury sustained 2 weeks ago, the recovery and training sessions are progressively good. I’m in the transition of the aerobic and anaerobic phase, so the mileage is still quite high, keeping the intensity moderately hard. Doing a 2.38 marathon last month, I would say I’m aerobically fit, probably in a better 10000m racing shape as compared to the 800m/1500m that I’ll doing this coming Singapore Open. But the high level of competition for the meet provides a good opportunity to learn and race with the best middle distance runners in Asia. I’m targeting to break my 1.55 done at the Asian Indoor Champs for the 800m and get close to the 4minutes mark for the 1500m. No particular person in mind. But my fellow training partners have always been a great inspiring and motivating factor. When I first won the sprint events during the sports day and got selected to participate in the Inter-Primary School T&F meet. Thereafter running became the sport I do throughout the academic years.